This is a story of a warrior we know and love. Early last summer, Jenifer was diagnosed with an aggressive form of Acute Myloid Leukemia (AML). She has endured months of toxic and nearly-fatal chemotherapy to stop the cancer. This fall, she had more in-hospital chemo, to destroy her immune system and then had a successful Stem Cell Transplant in November to stop AML. All of these serious medical treatments have required lengthy hospital stays, sometimes in in the ICU. Jen beat AML, and it is gone. And we were all so thrilled for our warrior. She came home for Christmas and we rejoiced. But for some reason, instead of gradually getting stronger, Jeni’s condition has been deteriorating since the start of the year. She has been in Karmanos Cancer Center in Detroit since Dec. 31, sometimes back in ICU. She now has the diagnosis why she is so sick again: she has an even rarer form of cancer – lymphoma –rapidly growing in multiple spots in her brain. Doctors do not know why. The prognosis is unknown, and Jeni is evaluating all options. She really just wants to go home, see her three children, and take it day by day. She wants to get better, love her family and go back to work helping children. We all know Jeni is a determined warrior, who has always accomplished anything in her life. She proved this by completing law school, working tirelessly for child welfare, fostering numerous animals, completing many marathons and being a vital member of many communities. She has survived 10 months of grueling medical treatments and remained tough and positive. Her greatest achievement is fostering, then adopting, her beautiful children Madison, Joseph, and Mackenzie. Jeni loves and misses these children so much, and they miss her terribly. They are being cared for by Jeni’s good friend, and they are praying for Mommy to get better and come back home. We need to support our warrior in her biggest battle. Jeni has not been able to work during her illness. Her medical expenses are mounting, plus the continuing every day bills for the house, car, utilities, food and basic needs for her children. She is doing the best she can to stay current, but the worry of being so sick and unable to provide for her family weighs on her. 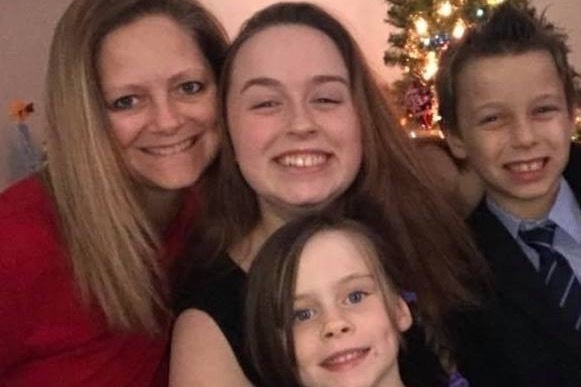 We want to help Jeni, and ease her mind, by providing some financial help so she can continue her fight while focusing on precious time with her children. The Pettibone family is grateful for any amount you may be able to give. Thank you, please continue to pray for Jeni's strength, comfort and peace during this journey. Update: Jen is back in the rehabilitation facility. Back to work getting her strength back! Please keep her and her children in your prayers. Hi! Jen is back at Karmanos. She had a fever yesterday, so they need to figure out why. She is sad about the move, but understands that she is where she needs to be. Please keep her in your thoughts and prayers! Jeni is settled in to a rehabilitation facitlity. She is able to move about a bit more. This change of scenery has improved her mood greatly. She is able to see her children more often. Jen is currently focusing on her exercises, getting nutrition, staying hydrated, and rest. Please continue to share the Go Fund Me page. Please keep praying. Update: Jeni has moved to a rehabilitation facility this past week. Keep praying for her to get stronger so she can go home, rest, and be with her kids. ❤️ She is showing her typical determination and will to fight!